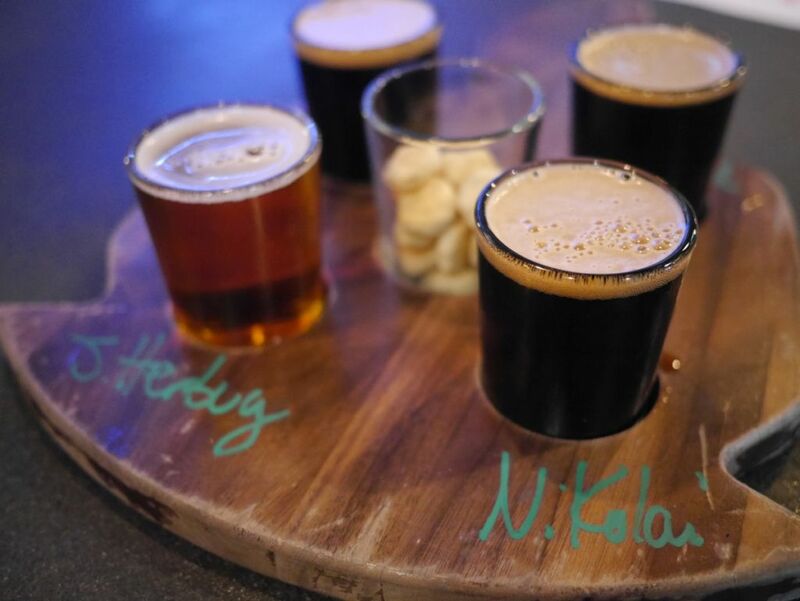 ChuckAlek opened a satellite tasting room in North Park and turned it into a traditional German outdoor biergarten to go along with their German inspired core lineup. Be sure to bring a light jacket if you visit them on a cooler day because they get quite the breeze going through. I also sit in the shade to avoid letting the sun skunk my beers. 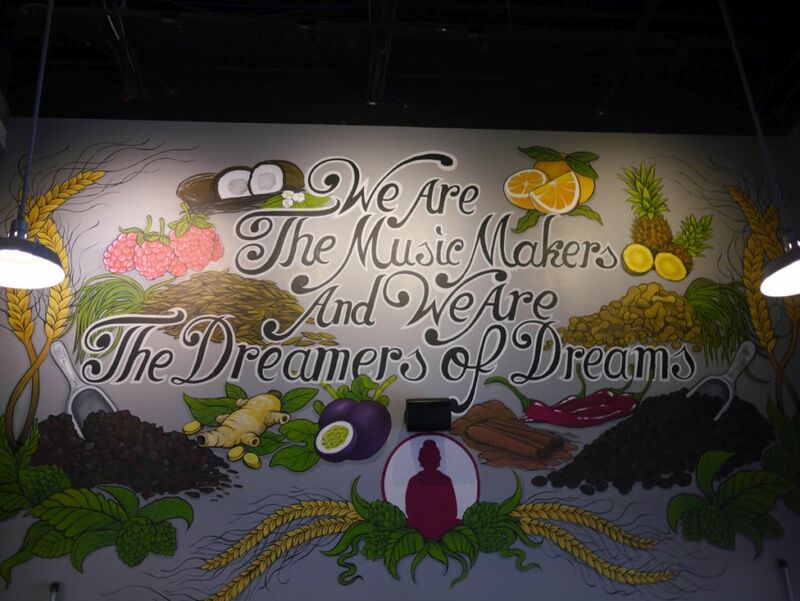 I tried a number of their core offerings and a couple specialty brews when I visited. 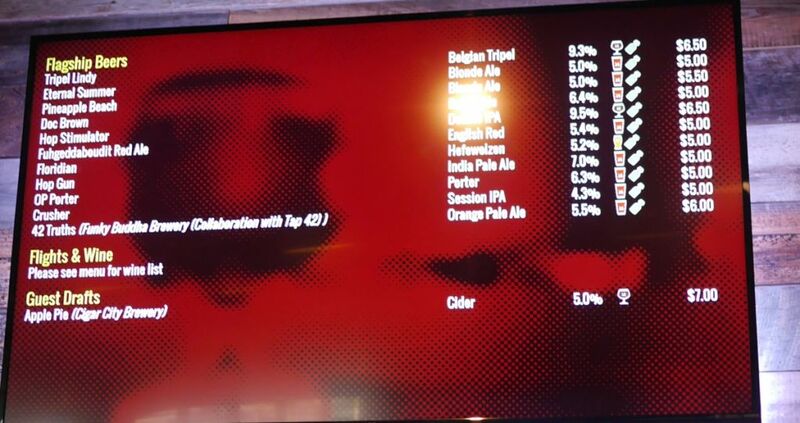 Because of their small brewing system the tap list changes regularly. One fun feature they offer is the choice of ordering a 1 liter pour of certain lower alcohol German beers like you would get at Oktoberfest in Germany. 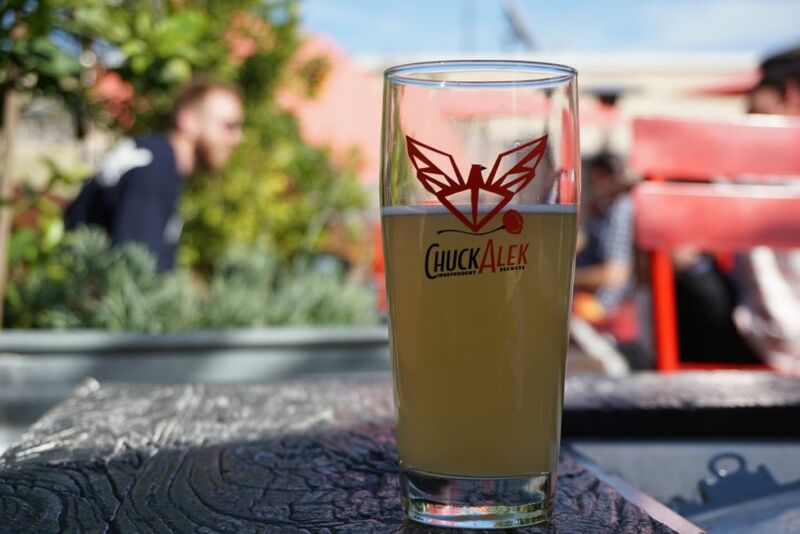 In the short time since I posted this ChuckAlek Biergarten has drastically improved their hoppy offerings and debuted beers that are closer to the modern style. I visited the brewery yesterday and ordered their IPL and Hazy IPA. Both were delicious and had low bitterness with intense hop aroma. Moonstomper Oat IPA had a thick hazy appearance with a chewy mouthfeel. The beer had tons of tangerine, mango, and candied apricot notes. 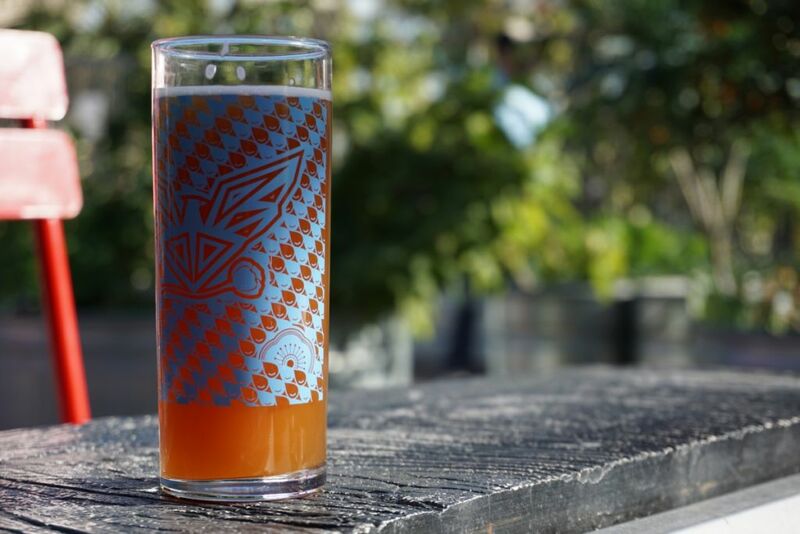 The IPL, called Cartographer, was bursting with tropical fruit aromas and had a mild bitterness with a soft mouthfeel. Both of these were impressive enough that I will hopefully return soon to get some better photos of them. I started with the Helles, a traditional Munich style of beer that has a stronger hop kick than a typical pilsner. It was top notch with a clean finish and a mild floral hop kick. It joins my top 5 San Diego brewed lagers. 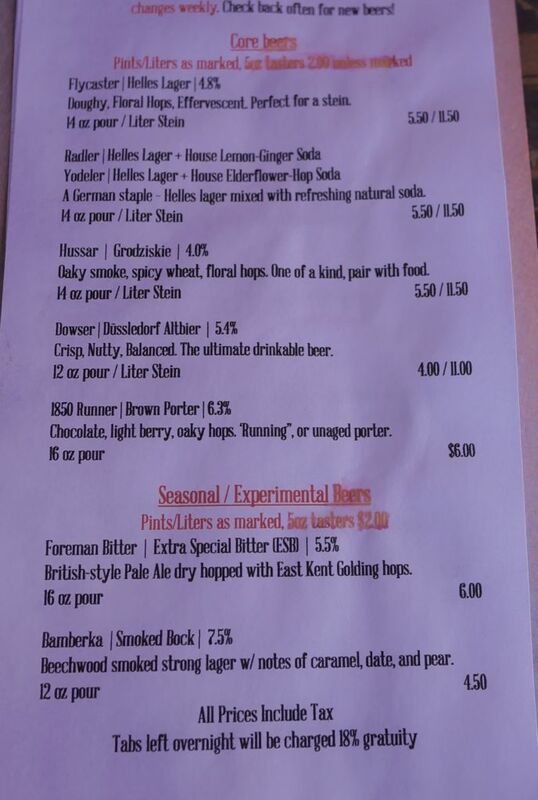 The Hussar is a smoked wheat. It is soft and light with some mild smoke character. Anyone who has had a rauch beer in Europe will find the smoke here to be very mild, but it is nicely balanced and easy drinking. The ESB was a bit too hoppy for the style and the spicy hops stood out too much over the light caramel malt base. It wasn’t my favorite hop profile but I might have enjoyed it if the hops were a little more subdued. Full pour of the delicious Berliner weisse. The brown porter was fantastic with a mix of caramel and roast, a medium body, and a light sweetness on the finish. The AltBier was also a bit hoppy for the style but it had a good mix of dark fruit and mild bitter finish. I couldn’t see myself having a pint of either the Alt or the ESB. The SSS Stout was smooth and chewy with a mix of burnt caramel, chocolate, and cherry notes. The Fugazi with citra had more bitterness than aroma and I didn’t get much fruit or citrus but a mildly perfumy finish. I didn’t much care for this one. The Belgian Pale was less harsh and had a nice balance of mild spice and citrus notes with a clean finish. 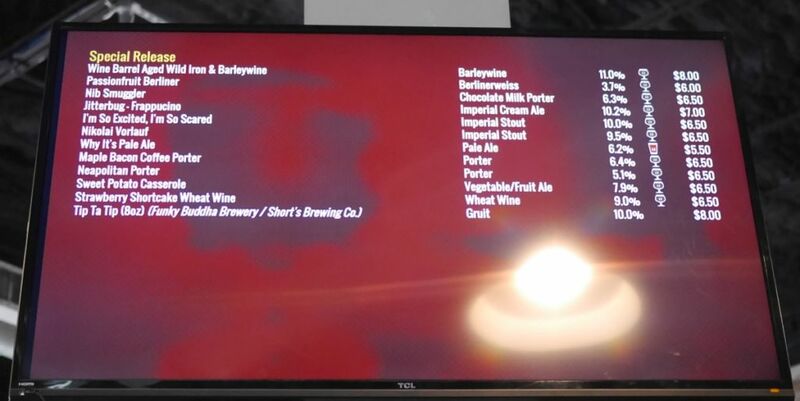 Some of the beers I tasted may not get brewed again so I can’t expect each one to be perfect. Still, with the fantastic brown porter and helles, I see ChuckAlek bringing in a good size crowd in the warmer months. If you have been looking for a well made San Diego lager, this is the place for you. 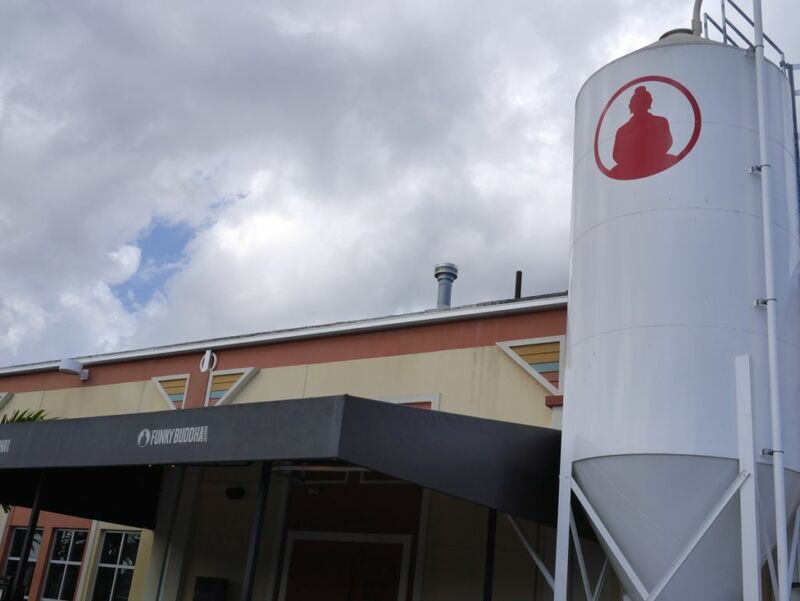 Update – It was announced on August 10, 2017 that Funky Buddha had sold to Constellation Brands, the same company that purchased Ballast Point. 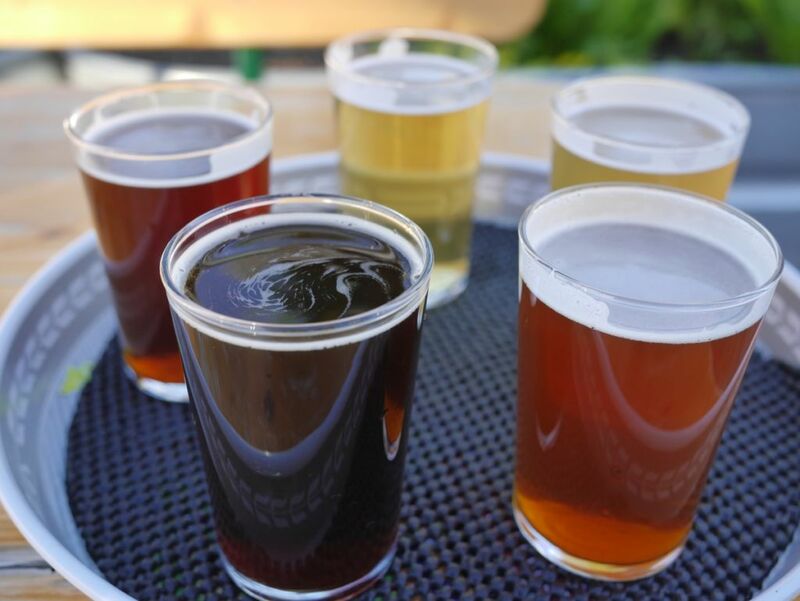 It is up to each person to decide if that change in ownership impacts their decision to drink the beer or visit the brewery. 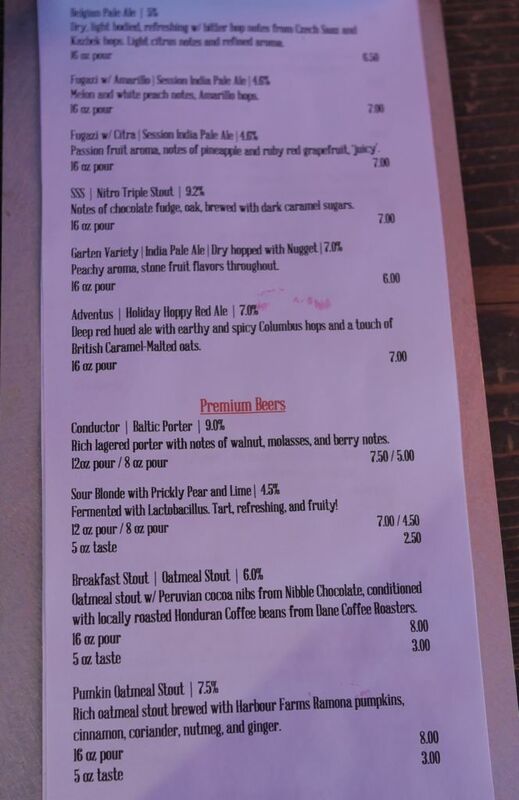 There are two locations for Funky Buddha, their large brewery with a traditional tasting room, and their hookah lounge, which is only open in the evenings. I visited the brewery. They have a large indoor space with plenty of tables and a lengthy bar. 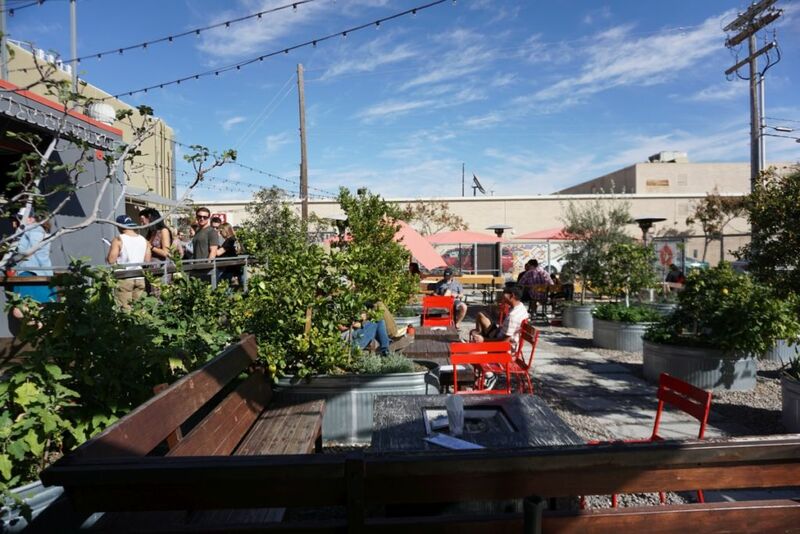 There is also outdoor seating for those who don’t mind drinking in the heat, though it isn’t the best setting to sit and sip their stouts. I started with their strong stouts, which are some of their most popular. The Maple Bacon porter was smooth and creamy with just the right amount of maple and fantastic balance. Often maple beers have far too much maple but this was nice and subtle. I didn’t taste much bacon or coffee though, and the beer was a bit on the sweet side for me but one of the best out of their stouts. The I’m So Excited coffee stout was also super sweet with tons of lactose and some mild coffee and caramel. I’m used to coffee stouts with strong coffee kick and didn’t get that here. Nikolai imperial stout had tons of dark cherry notes with a super sweet boozy finish. Jitterbug is their white stout with coffee and it tastes like most of the same style with tons of lactose and strong coffee. I’m not normally a fan of naughty sauce from Noble Aleworks so if you like that style of beer, this one is for you. Though I am well used to stouts being sweet, I found many of the offerings in my first flight at Funky Buddha to be a bit sweeter than my preference. For my second flight I went to their lighter stuff. 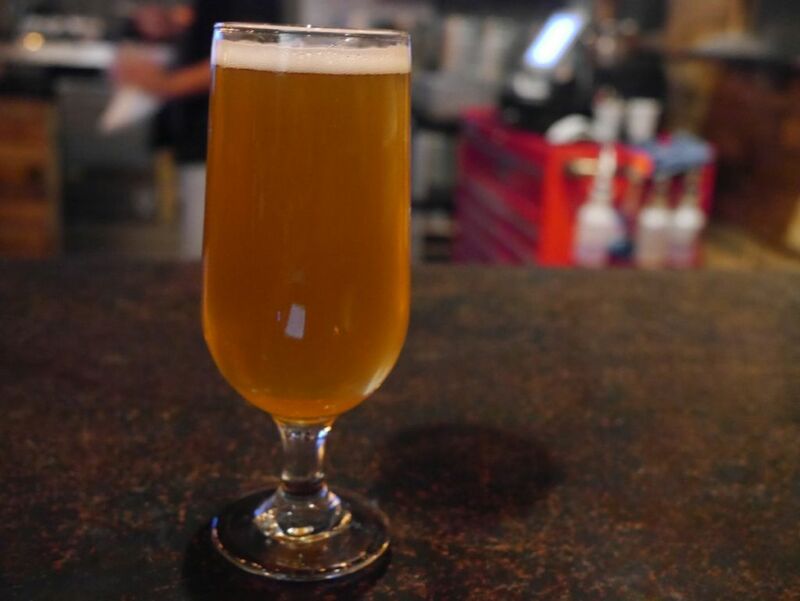 The passion fruit berliner weisse had an intense passion fruit flavor with a mildly tart finish, a fantastic beer. The Hop Gun IPA had floral hop notes over a soft and creamy body that makes it really easy to drink. It finished with a mild lemon character. The Double IPA was a similar style but with more fruity hop notes and notes of honey at the finish. I preferred the fruity hops and had a full pour of this after the flight. The Nib Smuggler was a perfectly balanced mix of marshmallow and subtle lactose with a bitter chocolate finish. The more subtle lactose made for a delightful creamy beer. 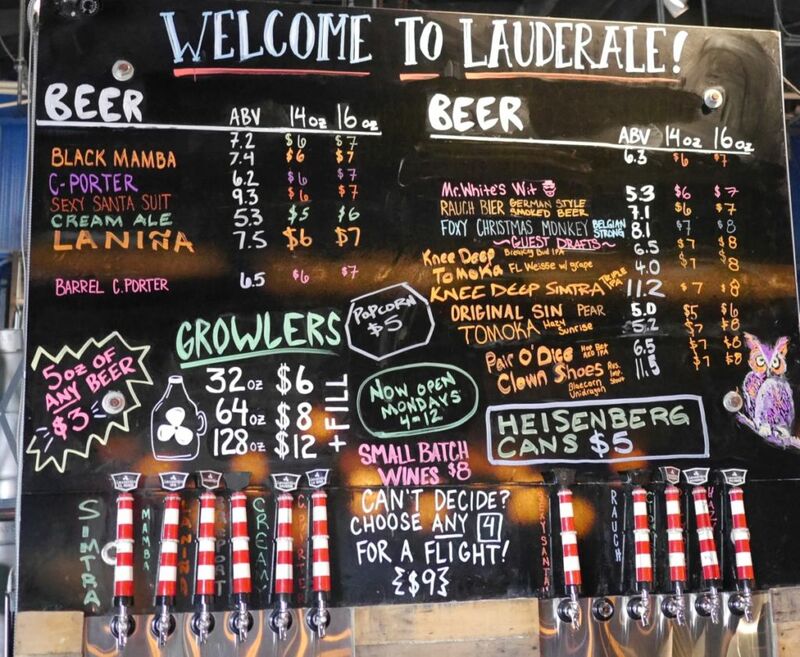 After Funky Buddha I went to LauderAle, a location that is about 15 minutes drive south. 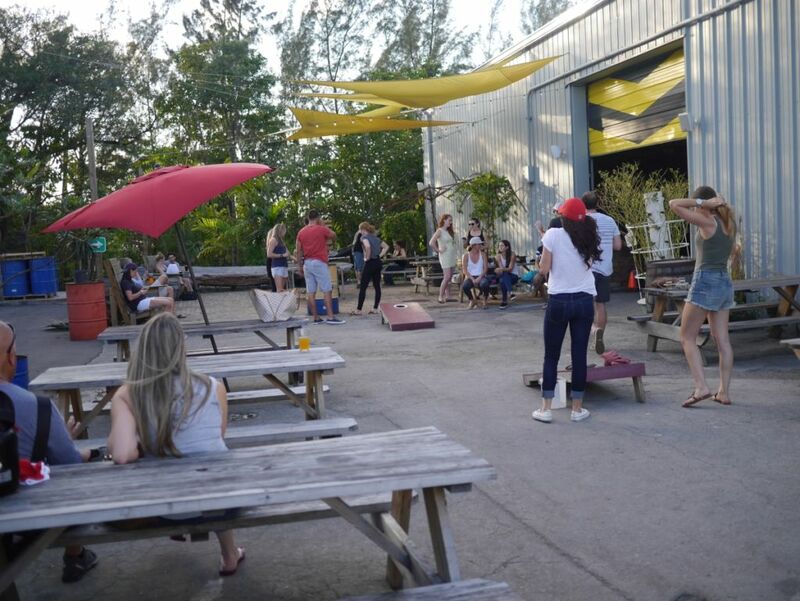 They have a beautiful outdoor space that was full of people playing games with their beer. Their indoor space gets just the right amount of light from outside and they keep it at a comfortable cool temperature. I had a flight of four beers. The blonde with habanero and pineapple was delightful. The pineapple flavor was strong and sweet and backed up by just the lightest heat from the habanero. Even with all that fruit character, it still retained its light body and went down really smooth. I had three pints of this after the flight. The Coffee Porter had some mild roast and subtle vanilla mixed with coffee and spice at the finish. I thought the flavors were all too subtle, though it was easy drinking. The Rauch was smooth and smoky though the smoke was mild for the style. There was some light fruit under the smoke but like the porter, it felt a little too mild overall. The barrel aged coffee porter was creamy and had tons of vanilla with a mild bourbon finish. This was an excellent beer and much more flavorful than its base. 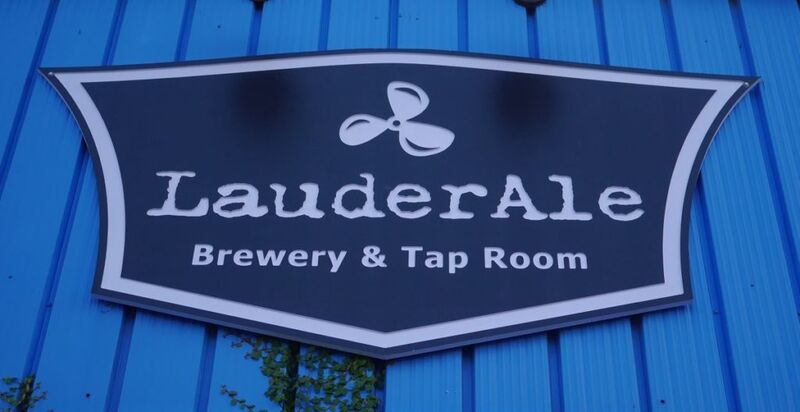 Though you probably won’t read much about LauderAle outside of Florida, I found their tasting room to be a great spot to visit with a solid lineup of beer. 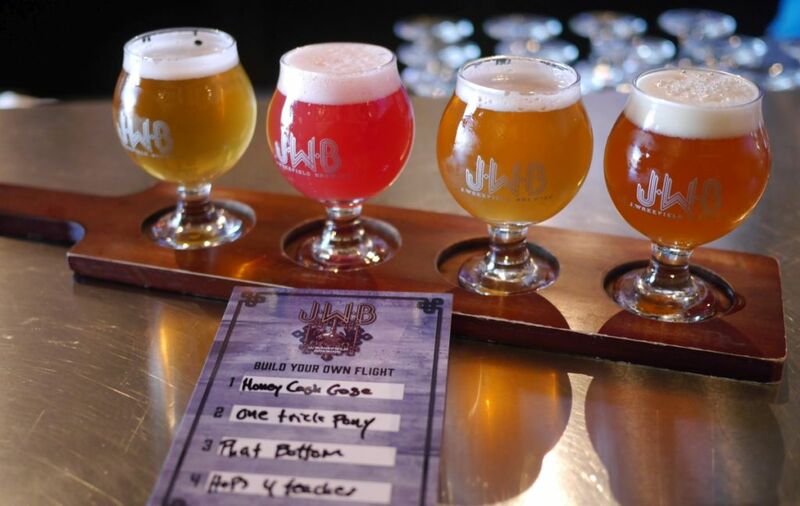 Both J Wakefield and Wynwood Brewing are in the Wynwood neighborhood known for graffiti and a small distance outside of downtown Miami. 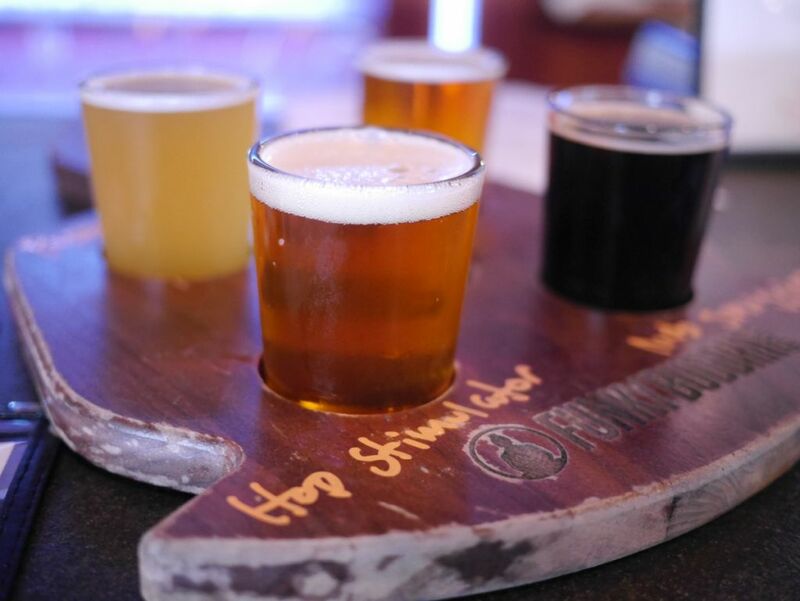 If you are staying on Miami Beach it is a bit of a drive to get out to the breweries but worth it if you are serious into beer. 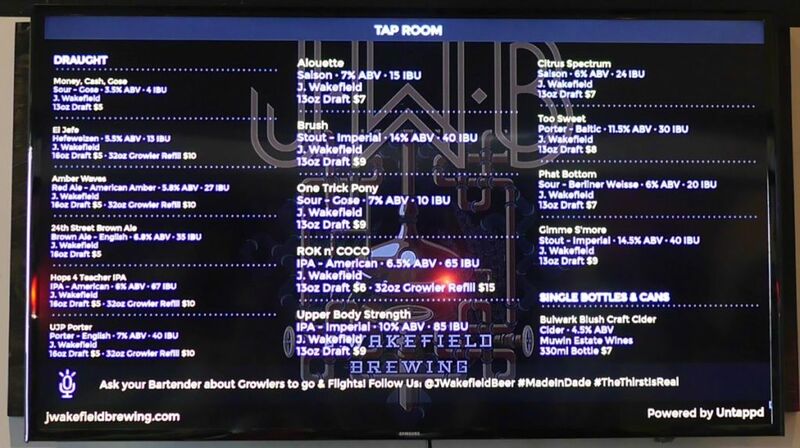 J Wakefield had their air conditioning at full blast, making it uncomfortably cold in the tasting room and music to match the urban graffiti look of the brewery complete with pounding bass on most songs. I came for their sours and stouts and was not disappointed, though the tasters were each $3 because of the beer styles. 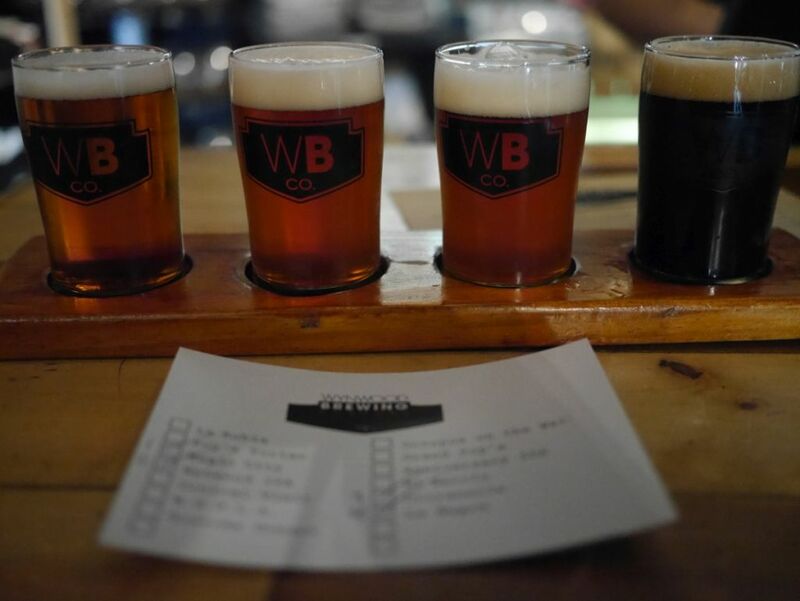 I chose to visit Wynwood Brewing after J Wakefield based on the recommendation of the server at J Wakefield. Their gose was clean and crisp with notes of citrus and fruit with mild salt at the finish. One Trick Pony is a bright pink color from the various fruits and I got notes of grapefruit rind, passionfruit and ginger. This was the most tart of the bunch and was very refreshing. Phat Bottom tastes like an apple tart (the pastry) with notes of honey and caramel, though was a bit too sweet for my tastes. Hops 4 Teacher was a bit sweet with a bitter finish that lingers on the tongue. It was fairly average as far as IPAs go. 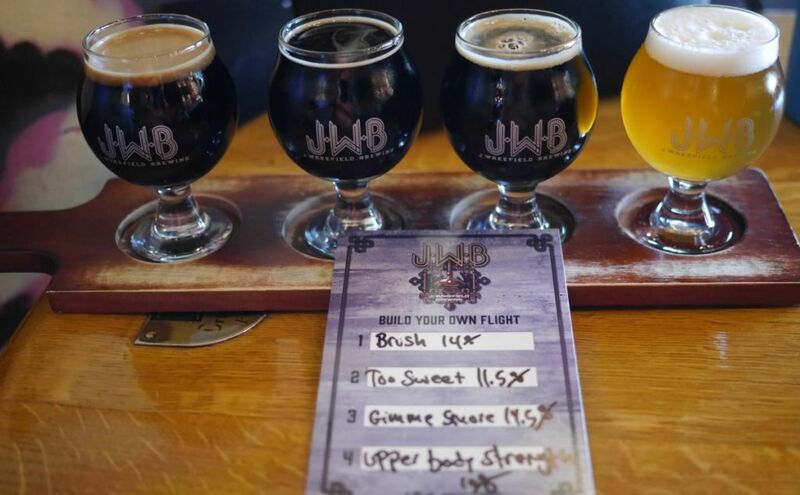 For my second flight I went high alcohol, with each beer over 10%. Brush has an intense chocolate marshmallow nose that translates nicely on the taste and a warming finish going down. The chocolate was subtle and everything was wonderfully balanced. Too Sweet was thick and tasty but overpowered by cinnamon and other spices, reminding me of a holiday ale. Gimme S’more was a more artificial tasting version of Brush without the fudge notes and compared to Brush wasn’t as good. I finished with Upper Body Strength, a collaboration triple IPA with Trillium. The beer had a light color and masked the alcohol really well. The hops gave off tons of fruit with lots of mango and citrus notes. It was a perfectly balanced triple IPA, a rarity for the style. I probably would have bought cans if they hadn’t sold out before I got there. 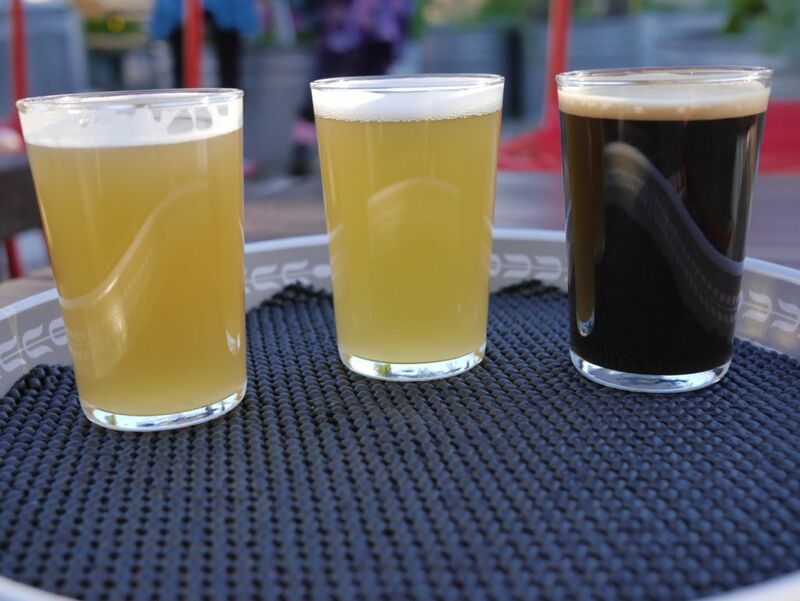 Come for fruited berliner weisse and intense adjunct stouts. In some ways I may be extra harsh because I came here after J Wakefield but I was not too excited by the beers here. They are slightly more established and had a clear draw in the community with people having parties and kids running around. I started with the Magic City pale ale which smelled like overripe fruit but once I got past that it was a solid balanced pale ale with fruity hops and a mild bitterness. House IPA was a bit herbal with a bitter finish, very similar style to the pale, probably the same malts. I couldn’t stand the hops they used to I didn’t finish this one. Citranella was their citra hop IPA but it tasted more like a lower alcohol barleywine with its strong malt backbone. Seems like a waste of the citra hops, which were barely detectable. The imperial stout was smooth and mildly sweet with hints of caramel and vanilla and some mild smoke. 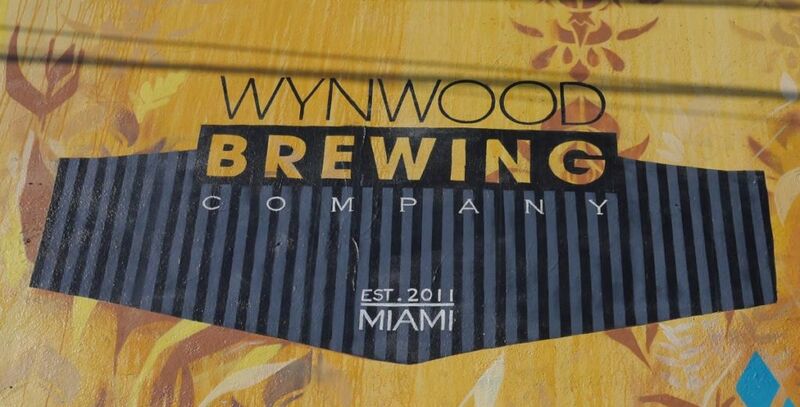 Wynwood seems to know how to make beer but their IPAs are all far too malty and lack the intense hop aromas that make the style enjoyable. If you prefer the modern style of lower malt IPAs then you won’t like their beers all that much. I didn’t try their other styles that people seemed to be drinking a lot of, like the blonde ale. 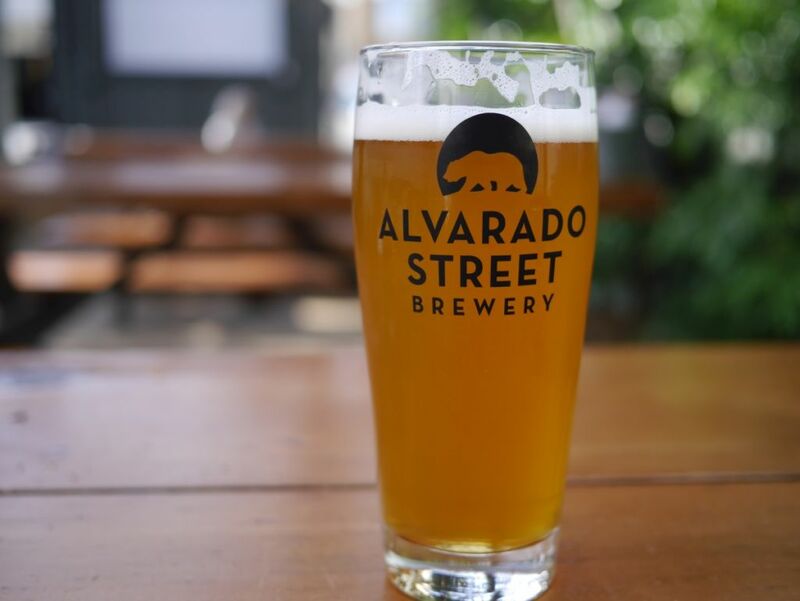 In the quaint beach town of Monterey about an hour south of Santa Cruz and a nice place to stop after driving up the Pacific Coast Highway from Paso Robles you can find Alvarado Street Brewing, a spot that has been getting a lot of hype lately. After my visit, I can say it was quite well deserved. 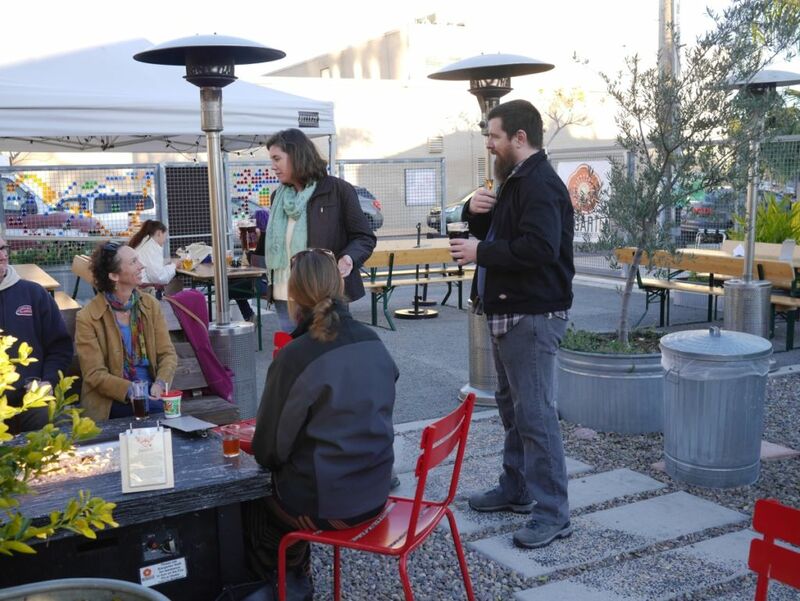 They have a large space with a spacious restaurant, some outdoor seating in front, and a beer garden in the back where you can enjoy some beers outdoors or walk up through the back to pick up some cans or crowlers to go. 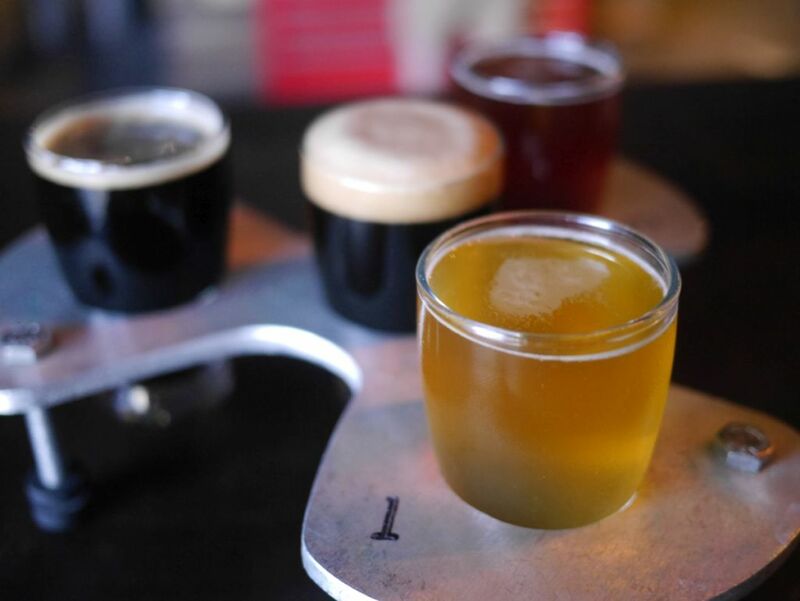 I didn’t do a flight of tasters while I was there because they were only doing full pours in the beer garden so I didn’t try everything on their expansive tap list. But I quite enjoyed what I tried. I started with the Wharf Rat IPA, a balanced IPA with notes of pine and tropical fruit. The beer had a nice orange haze while not super cloudy. This was also the favorite of a friend who met us there. The Vengeful Barbarian hazy IPA pours a super cloudy yellow haze with notes of mango and pineapple and a mildly acidic finish. My mom really enjoyed this one. Yes that one in the center is an IPA. My sister ordered the cherry vanilla kettle sour, a tasty mix of strong cherry flavors and mild vanilla in the back, mildly tart and very nicely done. The minesweeper IPA was my favorite, a great mix of fruit, mango, and pine with a medium bitter finish and similar orange haze to the Wharf Rat. I left with a four pack of this one though I should have gotten two because I gave two of the cans to other people and after my second can I really wanted more. 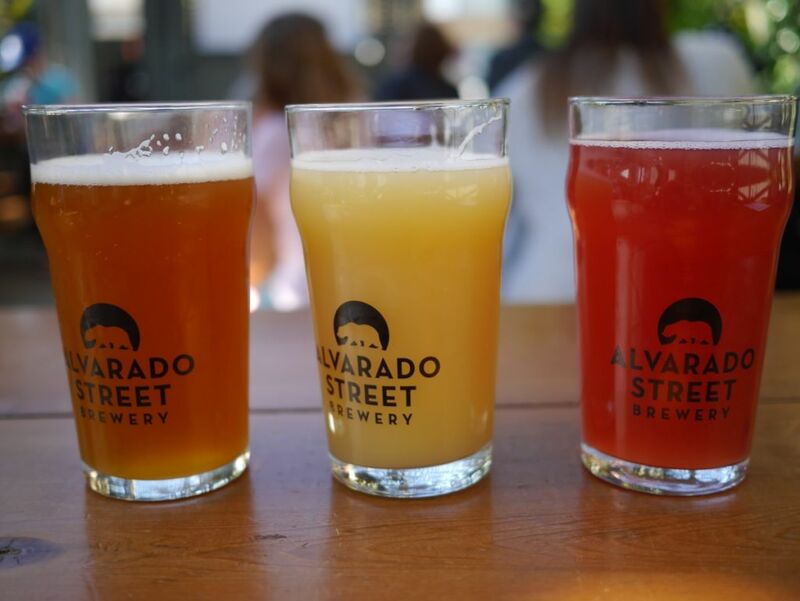 If you are already in the area of Santa Cruz for breweries, taking the trip down to Alvarado Street is worth it. Or you can sometimes find their cans around the bay area. They had a bunch of different styles inside but we decided to eat outside instead. If you are vegetarian or vegan, their vegan double double burger (modeled after In N Out) was really good and tasted almost like the real thing.